Jon has two kids, and he spends most of his leisure time hanging out with them. He is also an avid writer and finds that writing is a good way to relax. At the same time, Jon enjoys activities like skiing and giving guitar performances, which terrify him sufficiently to force him to focus only on the current moment. He works on the Large Hadron Collider at CERN in Geneva. They are smashing particles together at extremely high energies and measuring what happens. Collecting data on these particle collisions provides information about the smallest and most basic components of our universe. When he was 9 years old, Jon partnered with his brother and a friend to write a book that would contain everything we knew about space, stars, and planets. They were pretty serious about this undertaking. As they began the project, they came to the realization that there really was a lot of information known, but we were also learning new information every day, and things we thought we knew were constantly changing. This was really exciting for Jon. One major setback Jon and many other researchers faced occurred during the initial run of the Large Hadron Collider. There was so much hype about getting the instrument up and running in 2008, and it broke nine days later. They were all devastated. A lot of damage was caused, and it was over a year before they could get it up and running again. Contributing to the discovery and confirmation of the Higgs boson particle was probably one of his greatest achievements. It was amazing to be involved in this discovery, even though it wasn’t really his own individual success since the credit is shared with about 6,000 other people. Sitting in the audience during the first meeting where the 2012 data was presented and then being there for the formal announcement that summer was thrilling. Hamburg, Germany is among Jon’s favorite places. His first trip to Hamburg was also his first time ever on an airplane, and having opportunities to travel was one of the reasons Jon sought a career in particle physics. Jon worked there for a few years, and during that time he was able to get out and explore the fantastic city. The cool model railways caught his eye, and he had fun playing guitar in a band in the evenings. At DESY In Hamburg they have a tradition of knocking on the tables instead of clapping when someone gives a talk. It was entertaining to watch the reactions of presenters who weren’t familiar with this custom. There are also a lot of idiosyncratic things he has experienced working at CERN, including the entire Tumblr blog devoted to chronicling abandoned chairs in odd places around the facility. When you are interviewing for jobs, think about the interview going both ways to get a sense of whether this is really the job you want and the people you want to work with. Also, for people interested in a science career, it is important not to put up with unfair conditions, make too many compromises, or live a life that you’re not happy with now as a means to a potentially rewarding career in the future. If you don’t love what you are doing now, you should find something you do love. Jon works on the ATLAS experiment at the CERN Large Hadron Collider (LHC). He led a UCL group which contributed to the tracking, trigger and software. 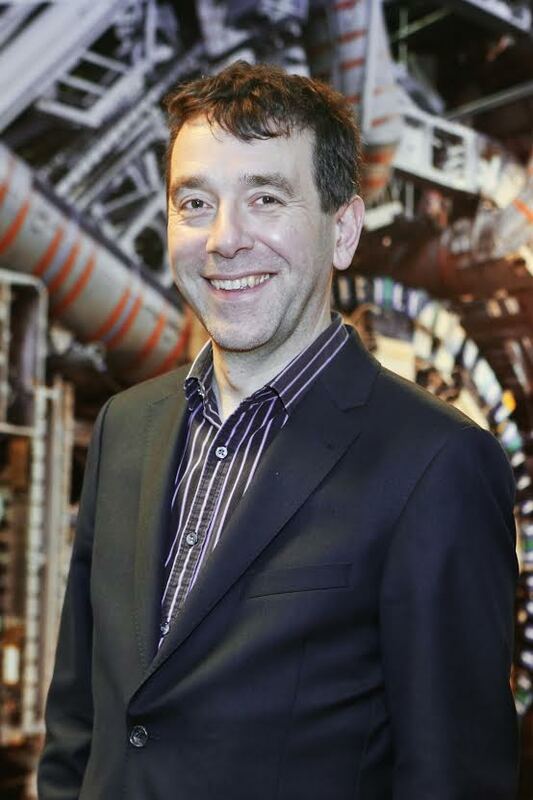 His own work has focussed on physics processes at the LHC which will help us discover more about electroweak symmetry breaking, or basically “why some things have mass”. This included searching for the Higgs boson, discovered in July 2012. Jon wrote some of the first papers on using the substructure of hadronic jets to identify the decays of boosted, massive particles – including the Higgs. He was convener of the ATLAS Monte Carlo group (2007-2009) and of the ATLAS Standard Model group (2010-2012). Until 2008, Jon worked on ZEUS experiment at the HERA electron proton collider at DESY in Hamburg. He made the first measurements of the photoproduction of hadronic jets and was physics chair of the experiment in 2003-2004. Jon led efforts to translate HERA data to have an impact at the LHC. He has also made several contributions to theory/phenomenology, including writing the widely used “JIMMY” programme to simulate multiparton interactions, other apects of QCD at colliders, supesymmetty, WW scattering, and some of the first papers on jet substructure, as mentioned above.